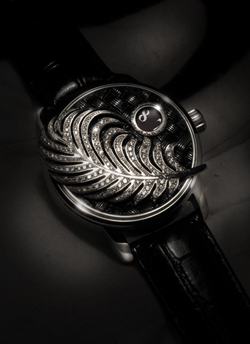 The company Angular Momentum watches introduces new handcrafted Magnificent Plume. If you buy a watch in order to index the time, this model, I will say at once, does not suit you. 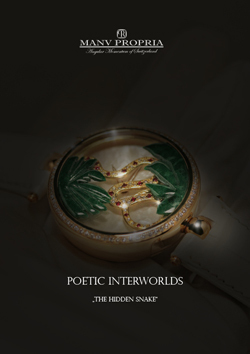 New, more suitable for those for whom the clock – something a little more than a tool for determining the time – namely, enhancement, aesthetic carries the load. Sweden ytsarskaya manufacturer of tools for measuring time, Angular Momentum is known worldwide for its unique clock, which represent the products of Haute Horlogerie, located on the border between jewelery and watchmaking. 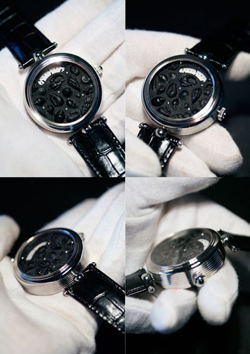 Master watchmaker brand under the leadership of Martin Pauli every day learn new art techniques and machinery dials jewelry watches, delighting fans of the brand. 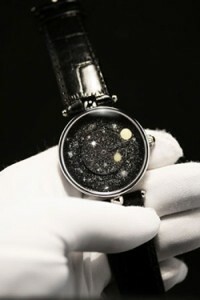 Swiss watchmaker Angular Momentum has introduced two new models of watches Glowing Urushi with elegant classic design. In creating the model was used technology patented brand name and Email Lumineuse Urushi. To create a unique collection of The Arabian Horses hour of Angular Momentum took over four months. 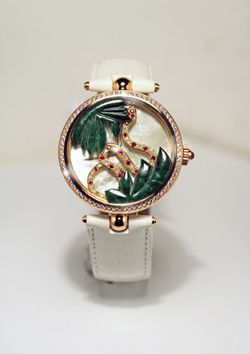 The collection consists of eleven masterpieces of the watchmaking art, hand-decorated with miniatures of Arabian horses. Indices used for decorating style Verre Eglomise, which is a technique applied the gilding and painting cold on the inside of the sapphire crystal. The ornament is attached to the crystal, gelatin, and then polished to a mirror surface and decorated with engraving.